In today’s world of IoT, the Wi-Fi technology is taking over day by day and number of connected devices also increasing. Many different types of modules with different features are used to take advantage of this technology. We always want to add internet connectivity in our project and confused which module should be chosen. So, here is a fantastic module called the ESP8266 from Espressif Systems. Using this low cost, small size module you can easily connect your device with the internet and can control any device. Microsoft Windows is a prevalent operating system, and now with the increasing popularity of the Internet of Things Microsoft decided to design its operating systems exclusively for IoT. 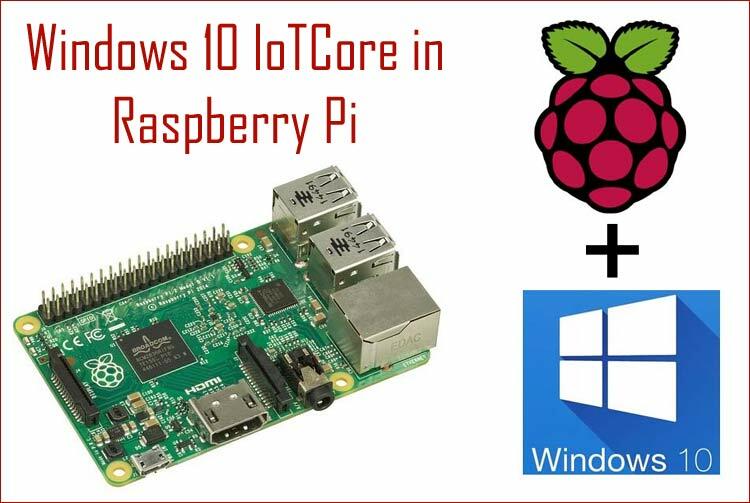 Windows 10 IoT Core is a version of Windows 10 that is designed for smaller devices with or without a display that runs on both ARM and x86/x64 devices. ThingSpeak is a great IoT platform to display our sensor data over the internet at any time and from any place. The reason of being superior to other IoT platform is that, Thingspeak shows real-time data without lagging. 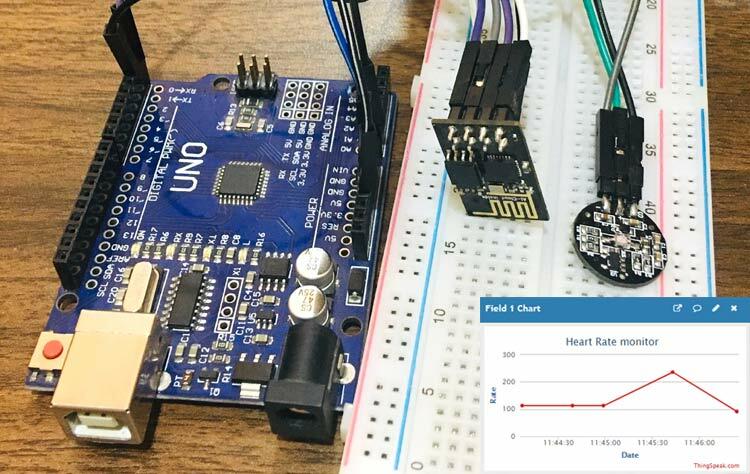 In this project, we are going to make a Heart Rate Monitoring System using Arduino, Pulse sensor and ESP8266 WiFi module. IoT is one of the most hyped technologies at the moment. Telegram is an instant messaging app based on cloud. Telegram is almost similar to Whatsapp and available for all devices like Android, IOS, Windows, Mac and linux. User can send stickers, messages, pics, audio files and videos. So, Telegram has an API bot that allows the human to talk to machines. Telegram bot is like a robot which programmed with a set of instruction and answer to interact with the user. Twitter is a popular online news and social media platform, where people interact by doing ‘tweets’. Not only interaction, but one can do promotions using Twitter. And, for the promotion, we need to schedule a tweet for every minute, hour, day or accordingly. This tweeting process can be done automatically, by using a twitter bot. IoT allows machine to machine communication which helps in increasing the system efficiency. ESP8266 is a cheap Wi-Fi SOC (system on chip) module works on 3.3V, manufactured by Espressif Systems, used to provide number of IoT solutions. 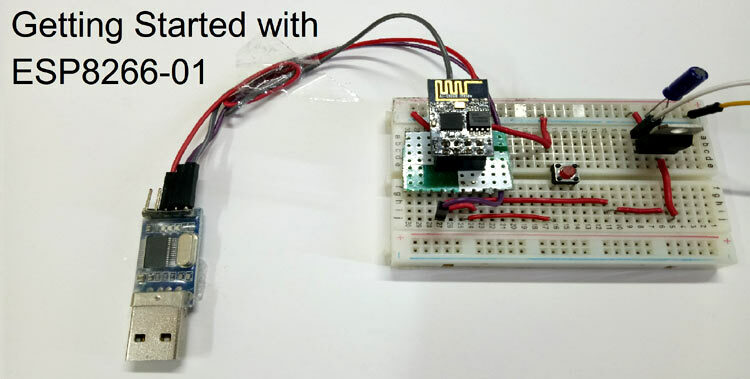 ESP8266 module is integrated with TCP/IP stack and microcontroller capability. If This Then That, also known as IFTTT is a free web-based service to create chains of simple conditional statements, called applets. A Camera is used to record visual images in the form of photographs, film, or video signals. Here, we are also going to do the same by interfacing the camera with the Raspberry Pi. In this project, we are going to stream our Pi camera video live over the internet using Pi.